We saw a handful of moves made over the offseason that will have a positive or negative effect on their fantasy production. A shift in leagues, parks, and new teammates all have influence on fantasy production. Last year we saw Zach Greinke suffer in the desert, while Jean Segura enjoyed hitting there. This year we try and stay ahead of the curve by identifying possible risers and fallers. 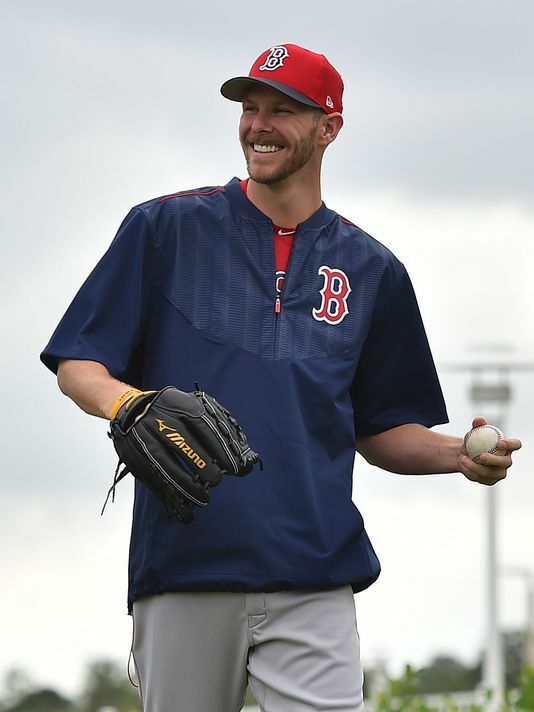 The biggest name to change teams this season, was Chris Sale, in fact all he did was switch Sox. He will be going to an offense that scored 5.36 runs per game last season, compared to the White Sox, who scored 4.23. Park factors will be a little bit better for Sale, but not by much. Sale has been dominant against lefties, and Fenway Park is tough on lefty power. Guaranteed Rate Field ranked fourth for right-handed homers, while Fenway ranked eleventh. Sale has been one of the few pitchers over the past few years where park factor isn't a big topic. Sale will see a small rise in pitch framing, and the bullpen help will be a plus as well. Coming off of a 17 win season, his most since 2012, I would say he duplicates a 15+ win season. His strikeout rate went on the rise from 2012-2015, then dropped back down to 2012 type numbers. Now a 25.7% strikeout rate was still good for 13th in the league, but it is a step back from his second ranked K% in 2015. Sale carried an elite 5% walk rate again, and had a small HR/9 rise (1.07). Sale will rival Corey Kluber, Noah Syndergaard, and Jake Arrieta as far as pitchers behind the elite three. The Mariners made a swap on the hill, bringing in Drew Smyly from Tampa Bay, and shipping off Taijuan Walker to Arizona. We will get the bad news out of the way for Taijuan Walker. The right-hander gave up 27 home runs last season, and has a poor 41.5% groundball rate in his career. He gave up 25 home runs in 2015. Safeco actually ranks sixth in home runs last season, but 20th in runs. Chase Field ranked second in runs, and second in home runs. We saw opponents average 5.7 runs at Chase last season, and it should be a source of a lot of offense again. We have seen glimpses of the talented right-hander, but tough to see him making any sort of leap in the desert. As for Smyly, home runs have been an issue. Getting out of the AL East helps some, but Safeco wasn't exactly great at limiting power last season. Smyly has some worth, and should bring a decent strikeout rate to the table this season. He is still not a guy inside the top 50 for starting pitchers. Mike Napoli went back to Texas, and Cleveland brought in Edwin Encarnacion. The Indians lineup is going to be one powerhouse lineup 1-9, and if Michael Brantley can stay healthy, it would not surprise me to see them finish as the American League's top offense. Hell, even if Brantley continues his injury plagued past, they will rival Boston. Encarnacion's stock might have taken a small hit moving out of the Rogers Centre, but not a whole ton. A home run drop off of four to five can be expected. I do believe he comes closer to his 2014 Blue Jays numbers in where he played 128 games. He ended up with 34 homers and 98 RBI. 42 Homers and 127 RBI from last season will be hard to come across again. Encarnacion should be on the cusp again as a top five first baseman, especially if age catches up with Miguel Cabrera, and Joey Votto doesn't see a pitch in the strike zone with that lineup around him. Napoli's 2016 season of 34 home runs and 101 RBI is a good indicator of where he will be, expect with 20 points added to his average. As for Napoli, moving to Texas gives him a bump in park factors. He is also in the mix with another solid lineup. If Napoli can play 140-150 games between 1B and DH, 30 home runs should be doable. His average will remain around the .230 - .240 mark. Houston went out and added Josh Reddick and Carlos Beltran to their lineup, which makes that lineup even more scary. Oh, they also landed Brian McCann. Reddick posted a .371 wOBA off right-handed pitching last season, but was dreadful against southpaws (.173). I do believe we see a bump in homers from last season moving to Houston, so a 20 HR and 10 SB guy isn't out of the question. I do believe that is his ceiling this year. Beltran will be 40 years old this April, yet shows no signs of slowing down. He hit 29 homers last season, between New York and Texas. .295 is a bit out of the question for his average, but 20-25 homers and 80 RBI is looking doable again. Out of the guys around his OF ADP (Joc Pederson and Nomar Mazara), I prefer Beltran. McCann will be a fringe top ten catcher this season, and has hit 20+ homers in every season since 2007. As an aging catcher, we won't see him hit above .250, but we won't from a lot of these names. Anytime you move into playing half your games at Coors, your fantasy value will blow up, well unless you are a pitcher. Thankfully, Ian Desmond is not. Desmond is coming off of a strong season, hitting .285 with 22 home runs. He also notched 21 stolen bases, and 107 runs. Projections have him for similar numbers, but I do believe there is a higher ceiling here. Charlie Blackmon leads the Colorado outfielders in ADP, while Desmond is right with Carlos Gonzalez. I am trying to find a way to grab one of the Colorado outfielders this year.